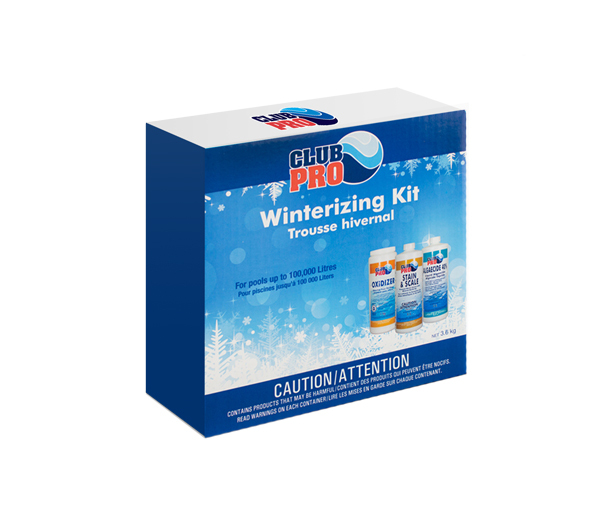 Winterize Your Pool With Confidence Thanks To The Winterizing Chemical Kit! The Winterizing Pool Chemical kit includes the three essential chemicals to properly close your pool including 1L of Stain & Scale, 1L of Algaecide, and 1kg of Oxidizer. Together, these chemicals work to get rid of organic matter, clean and prevent algaecide, and prevent staining and scaling over the winter. Your Pool Water must circulate for at least 8 hours prior to turning equipment off and disconnecting. Test your pool water and ensure all the levels are properly balanced.